Contributing to this issue: Tony Burns, Tricia Massella, Fay Jacobs, Doug Yetter, Chris Beagle, Ed Hotaling, David Garrett, Libby Stiff, Barb Ralph, Kathy Weir, Monica Parr, Rich Barnett, Dr. Michael Hurd, Terri Schlichenmeyer, Leslie Sinclair, and Murray Archibald. 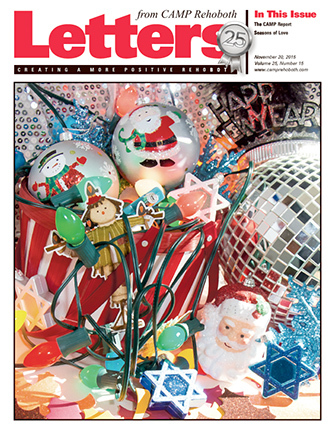 On the cover: Holiday Madness — a photo by Murray Archibald. November 20, 2015 - Women's FEST is Coming!